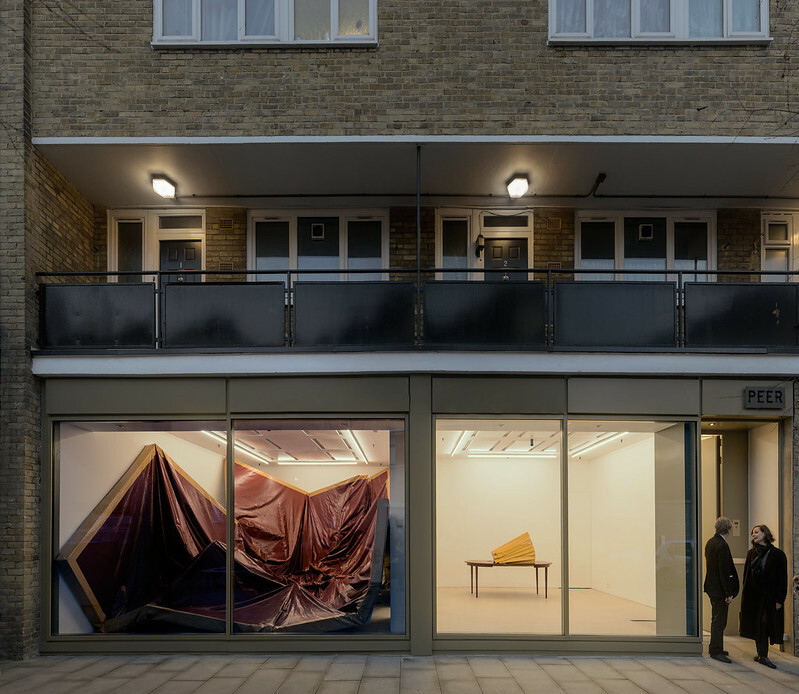 A transformation of a drab and neglected outdoor area in front of a Post Office and PEER Gallery on Hoxton Street. Now an open and welcoming public space, containing a new community garden with a planted vertical wall and new art pieces that animate the space. With a modest budget - raised from a number of sources including crowdfunding, the Mayor's Pocket Park fund and the Arts Council - the architects transformed the area in front of a Post Office, flats and PEER gallery, on Hoxton Street, from a drab, neglected and unloved area into an open and welcoming public space. This was achieved by: removing the dilapidated and unwelcoming municipal brick planters which encouraged antisocial behaviour; creating a new community garden with a planted vertical wall and new public plaza with trees, seating, bike stands and art installation; building a new gallery façade to create an 'art' shopfront animating the public space; involving the community in planting and maintenance of a new garden - Khadija's garden, named in memory of PEER's intern, the artist Khadija Saye who was heavily involved in the fundraising for these capital improvements and who was one of the 71 people who died in the Grenfell fire; and installing new art pieces that animate the new public space; an Art Clock, with an inaugural installation by Chris Ofili, inhabitable sculpture by London Fieldworks and PEER gallery's new shopfront.